 The SDSU School of Social Work’s Advisory Board is comprised of directors and leaders of county and non-profit social service agencies serving the San Diego and Imperial County regions, and alumni from our programs. The role of the Advisory Board is to work collaboratively with the School Director and faculty to promote the School’s focus on quality, cutting-edge education, research, and community engagement. This is accomplished through advisement on current and future trends and needs in social work practice; joint events, activities, and projects; and promotion of the School’s mission and goals to the broader community. The Board meets two times per semester and contributes to leadership activities that enhance student and community life throughout the year. 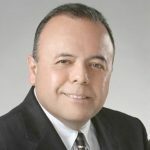 Alfredo Aguirre, LCSW, is the Director of Behavioral Health Services of San Diego County and has served in the capacity of Mental Health Director since 1999. He serves on the Board of Directors of the National Network of Social Work Managers and as a co-chair of the Cultural Competence, Equity, and Social Justice Committee of the California Mental Health Directors Association. He also serves on the Child, Adolescent and Family Branch Council, a national advisory committee to the Children’s Branch of the Center for Mental Health Services under SAMHSA. Kathi Anderson co-founded Survivors of Torture, International. She served as its first board chair before becoming its Executive Director. She has had extensive experience in health care, human rights, refugee resettlement and higher education. She was recently elected as the chair of the San Diego Refugee Forum and is one of the co-founders and officers of the National Consortium of Torture Treatment Programs. She has also served on national boards of directors of Amnesty International USA, Center for Employment Training and Lutheran Immigration and Refugee Service. Jorge Cabrera is Senior Director for Casey Family Programs. Casey is a national operating foundation based in Seattle, WA that provides direct services to foster youth and engages in collaborative and systems improvement efforts in partnership with the public child welfare system and other community organizations. In addition to overseeing the day-to-day operations of the direct services in the Casey San Diego field offices, Mr. Cabrera leads Casey’s Strategic Consulting work in San Diego and Orange Counties, California and in Puerto Rico. Mary Case is the Executive Director of Crisis House, a landmark social service agency established in 1970 in El Cajon. For 30 years prior she served as the Vice President of Programs of Father Joe’s Villages in San Diego, California. Under her leadership, St. Vincent de Paul Village grew from a 100-bed shelter to a 900-bed rehabilitation center for the homeless in two cities. Ms. Case is active in the community serving as founding member of the Mayor’s Task Force on the Homeless and past President of the Regional Task Force on the Homeless (2010-2013). 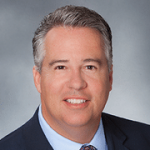 Michael Hopkins has been the CEO of Jewish Family Service of San Diego since January 2012. During his tenue, JFS continues to be a leading human service agency assisting over 20,000 San Diegian’s of all ages experiencing the challenges of poverty. Michael Hopkins has devoted over 30 years to building and strengthening community. He earned his MSW from the Yeshiva University Wurzweiler School of Social Work, and spent the majority of his professional career directing and growing Jewish Community Centers across the country. Michael was for 11 years the CEO of JCC Metrowest in Essex and Morris County NJ. JCC Metrowest is the 5th largest JCC in the country. In the past, Michael was the Executive Director of Nehirim, a national Jewish LGBT organization. 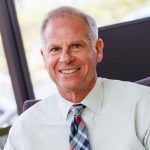 Michael brings extensive background in helping nonprofits reach their full potential and compassionately serving the needs of a diverse, inclusive community. Nancy Gannon Hornberger is CEO of SAY San Diego. SAY San Diego provides multiservice solutions that strengthen youth, families and communities with a vision of opportunity, equity and well-being. Nancy is nationally recognized for more than three decades of experience in social justice, public policy, system reform and human service and received a commendation from President Bill Clinton in 1996. Prior to joining SAY San Diego, she was executive director of the Coalition for Juvenile Justice (1999-2013), and held leadership positions with the National Crime Prevention Council and the Brady Center to Prevent Gun Violence. Nancy also serves the community as a member of the Leadership Table of the City Heights Partnership for Children, and the Citizen Review Panel and Prevention-Early Intervention Committee of the California State Child Welfare Council. Alice Kennedy, MSW, is the Assistant Director for the County of San Diego, Health and Human Services Agency, Child Welfare Services (CWS). Ms. Kennedy has over 25 years of experience in the field of social work and graduated from San Diego State University. She holds a Master Degree in Social Work with an emphasis in Administration. Ms. Kennedy’s breadth of experience includes operational leadership of more than six countywide program areas within Child Welfare; including the County of San Diego Adoption Program, Foster Home Licensing and the Child Abuse Hotline. Formerly, Ms. Kennedy held roles as the Child Welfare Services Ombudsman, Civil Rights Liaison and Department of Justice Grievance Hearing Officer. She also previously served as Secretary of the San Diego Child Abuse Coordinating Council Child Fatality Review Team. 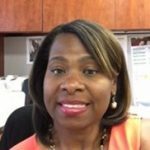 Since 2008, Ms. Kennedy has worked as a trainer for the Public Child Welfare Training Academy (PCWTA) and in 2015 she began consulting and training for Southern Area Consortium of Human Services (SACHS) Leaders in Action. 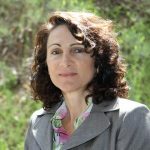 Laura Tancredi-Baese, LCSW, is the CEO of Home Start, a program in San Diego that works to prevent and treat child abuse and strengthen families in our community through a variety of evidence-based and trauma-informed quality programs. As a nationally recognized leader in her field, Laura was the founder of transitional living programs in San Diego for older homeless youth. 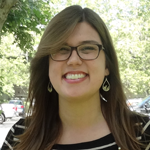 Laura currently serves as a Peer Monitor for Homeless youth shelter programs funded by the Administration for Children and Families, Family and Youth Services Bureau (FYSB). Kellie Scott is the SDSU Social Work Alumni representative. She is a double Alum with both her BSW and MSW from SDSU, and proudly serves as an officer for the Alumni chapter. She is the Program Coordinator for the San Diego/ Imperial Geriatric Education Center (SDIGEC) within the Academy for Professional Excellence. She is also an active member in the local Network for Social Work Management chapter and serves an the co-coordinator the Mentoring Program. Dr. Geoff Twitchell is the Treatment Director for the San Diego County Probation Department . He is a Licensed Clinical Psychologist with advanced training and expertise in addiction, treatment of co-occurring mental health disorders, Trauma Informed Care and evidence based treatments to reduce recidivism in justice involved populations. In his current position he is responsible for identifying, implementing, and evaluating evidence-based treatments for justice involved populations as well as liaising with the courts and community providers. He oversees field internship placements at Probation for SDSU social work students.